Size: approx. 4 mm. Photo: 04/16/15, 9 pm. 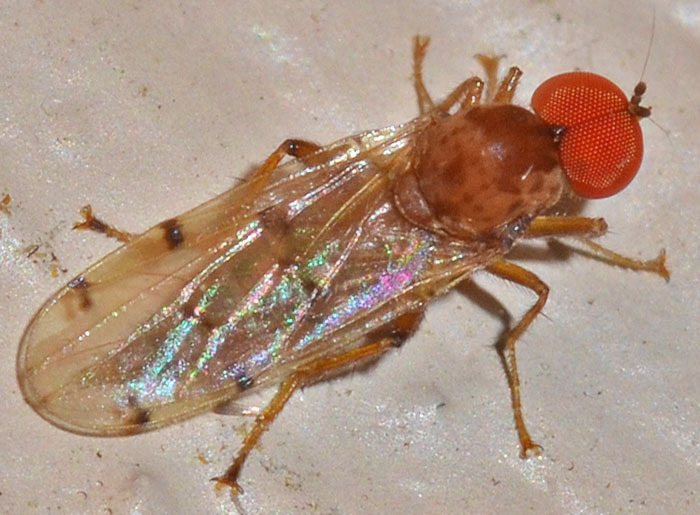 Although this dance fly is fairly small, it immediately caught my attention because of its striking orange eyes. The bugguide states: "It is the only regional species of Syneches with two spots on each wing, one at the apex of each of the first two long veins."